The U.S. midterm elections are less than 50 days away. There are many reasons to be concerned that some adversaries of the United States will attempt, again, to sow chaos in the upcoming U.S. election, and undermine the legitimacy of these contests. Most experts believe that Russia … will continue to interfere in U.S. elections on some level(s). Others are raising concerns about China and even Iran. Disruption: disrupting the election process, before or during voting, or afterwards to disrupt reporting of the election result. This type of attack is especially dangerous when accompanied by a defamation attack, as both combine to throw the legitimacy of the election into doubt even without altering the votes cast or tallied. Russia is trying to spread propaganda on hot-button issues using social media … Moscow’s strategy is to exacerbate sociopolitical divisions … We continue to see a pervasive messaging campaign by Russia to try to weaken and divide the United States. FBI Director Christopher Wray stated in August that Russian intelligence is focused on “malign influence operations,” which he called “information warfare.” Later that month, Facebook shut down over 30 pages and accounts with suspected ties to Russia. What will happen in the 2018 U.S. midterms? 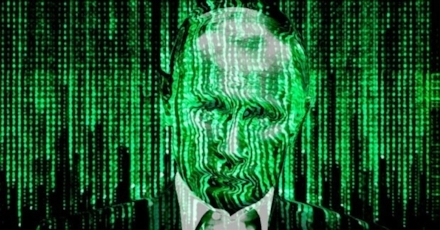 Disruption attacks are less likely: “the window for [voter registration attacks] may have passed … there [remains] possibility of attempts to hack election results sites.” Fortunately, “the official tabulation records and tabulators are not on-line,” so remain safe from Russian attacks, at least for now. Our foreign adversaries (again, in particular the Kremlin), are in for the very long game … they’re monitoring and preparing in the misguided belief they can successfully subvert our election and manipulate our government when the stakes are high enough in 2020. What can we do to protect our election systems? Although we know that Russia is currently pursuing defamation attacks against the U.S. election system, and will continue to do so until the 2018 midterms are concluded, we may be able to prevent the much more dangerous disruption and subversion attacks in 2020, but only if we start working now to secure the U.S. election infrastructure. The OSET Institute‘s TrustTheVote Project addresses these issues with our modular ElectOS public software framework/platform, designed from the ground up to deliver verifiable, accurate, secure, and transparent elections. Read Christine Santoro‘s original article, Will Foreign Adversaries Attack U.S. Midterm Elections or Elsewhere?, on the OSET Institute website. Read Counselor Santoro‘s related and provocative article last year examining the question of whether foreign state hacking of an election is tantamount to an act of war. Learn more about the TrustTheVote Election Technology Framework and how the TrustTheVote Project counters the three types of attacks. If you are an election official, get involved with the TrustTheVote Project to help guide the development of public technology to increase integrity, lower costs, and improve future elections.